NCSoft Cutting European Staff, Closing Tabula Rasa? 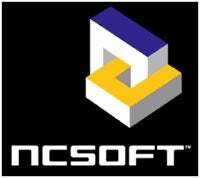 GamesIndustry.biz has posted a rumor this morning regarding big changes in store for MMO publisher NCSoft. According to "sources close to the company", the developer / publisher is planning on cutting 50 positions from their European office in Brighton, England following a decision to stop working on an unnamed MMO being developed there. Along with job cuts comes the resurfacing of the rumor that Richard Garriott's Tabula Rasa, the ambitious MMO that failed to capture a significant portion of the MMO market, will be closing it's doors in the coming months as well, which would lead to more job cuts as NCSoft further streamlines their business. An announcement addressing these issues is expected within the next day. We're currently looking into the rumors and will keep you updated as more information becomes available.